Washington, D.C. (February 25, 2014) — The Museum of Science Fiction today announced a new partnership with the Science Channel that makes the network the exclusive media sponsor of the museum. Under the agreement, Science Channel will provide video content and promotional support for museum exhibits and will be granted a physical presence inside the museum. The museum and the network will also collaborate on joint events in the Washington, D.C. area and nationwide. In 2014, the Washington, D.C.-based Museum of Science Fiction and the Science Channel will collaborate on multiple events, including Awesome Con, which will be held this April 18-20 at the Walter E. Washington Convention Center in the nation’s capital. Additionally, the Museum of Science Fiction is actively developing ways to weave Science Channel content into interactive and engaging exhibits in the forthcoming preview museum space. The Museum of Science Fiction is a planned, standalone nonprofit museum in Washington, D.C. that celebrates and examines the genre’s significance. The museum will show where science fiction continually inspires individuals, influences cultures and impacts societies. By presenting important and representative stories, the museum will highlight key creators and their imaginations, sharing how their stories have portrayed the human condition, taken us to new places, and expanded our comprehension and empathy. The museum will also serve as an educational opportunity to expand interest in the STEAM (science, technology, engineering, art and math) areas through use of tools such as mobile applications, handheld devices, and wifi- enabled display objects. Science Channel, a division of Discovery Communications, Inc. (Nasdaq: DISCA, DISCB, DISCK), is home for the thought provocateur, the individual who is unafraid to ask the killer questions of “how” and “why not.” The network is a playground for those with audacious intellects and features programming willing to go beyond imagination to explore the unknown. Guided by curiosity, Science Channel looks for innovation in mysterious new worlds as well as in its own backyard. 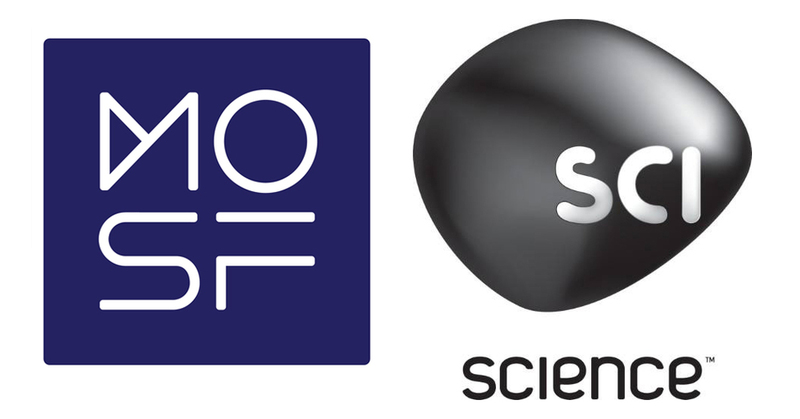 Science Channel and the Science Channel HD simulcast reach nearly 80 million U.S. households. The network also features high-traffic online and social media destinations, including ScienceChannel.com, facebook.com/ScienceChannel and twitter.com/ScienceChannel. For a full press packet on the Museum of Science Fiction’s vision and other information, visit museumofsciencefiction.org/presspacket.